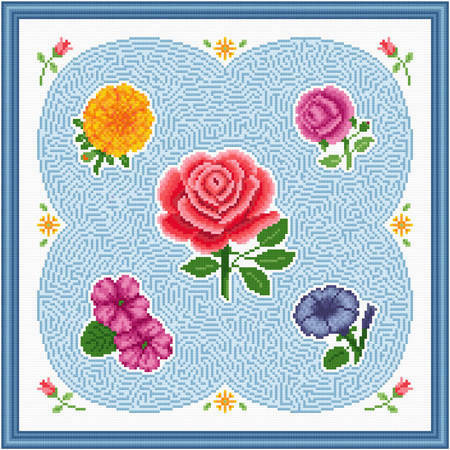 Flower Maze cross stitch pattern... A rose, a marigold, a begonia, impatiens and a petunia may be connected in the maze. Dry erase markers can be used on the glass and erased. A solution is provided. Floss may be changed.